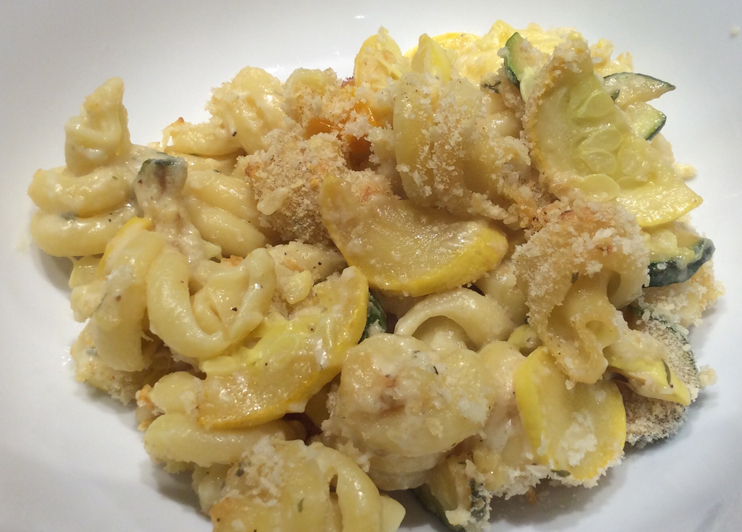 This was a great weeknight meal with leftovers. This would also freeze well if you make a double batch. I served with a Kale Salad. Adapted from a Smitten Kitchen recipe. Cook the pasta: Cook until al dente, about 1 to 2 minutes before perfect doneness. Drain and set aside. Heat oven: To 400 degrees. 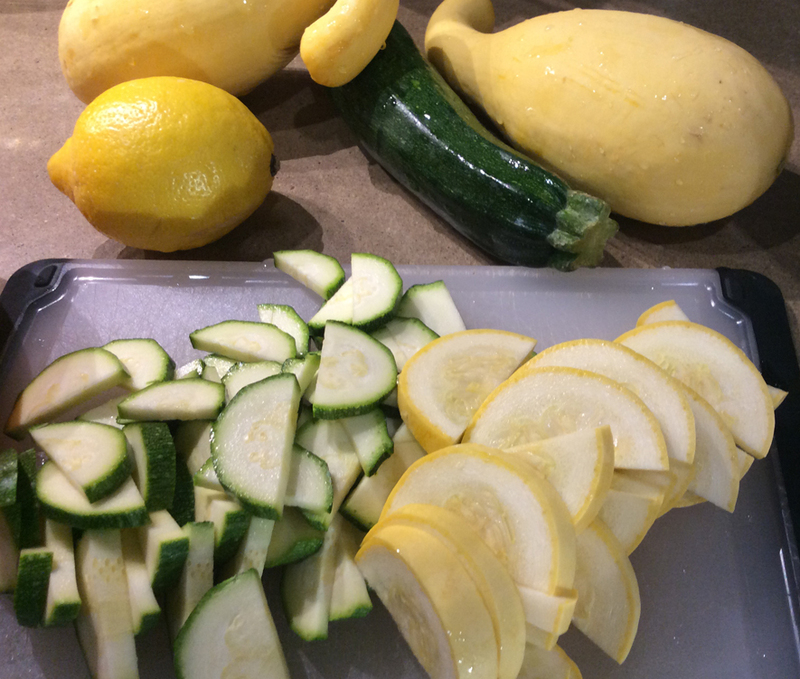 Prepare the squash: Heat a large skillet or the pot you just used to cook your pasta to high heat. Once hot, add olive oil, and let it heat until almost smoking. 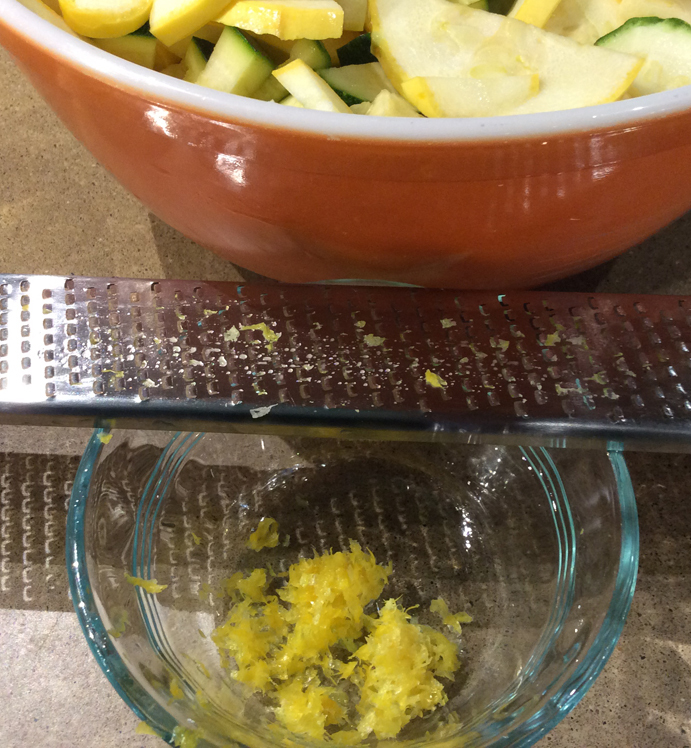 Add sliced squash, season it with salt and pepper flakes and let it sear underneath, unmoved, until golden brown. Continue to saute until browned and somewhat wilted, about 10 minutes, trying to get some color on each layer before moving squash around. Transfer to a bowl and squeeze lemon juice over bowl. Add more salt or pepper if needed. Roast the tomatoes: Pre Heat oven to 350. Slice Grape Tomatoes in Half and place on a baking tray (I line mine with tin foil). Drizzle with about 2 tablespoons of Olive Oil and course Salt. Roast for 20 minutes. Save any juice. Make the sauce: Melt butter in bottom of a large pan. Add flour and stir until all has been dampened and absorbed. Add milk, a very small splash at a time, stirring the whole time with a spoon. Make sure each splash has been fully mixed scraping from the bottom of the pan and all around, before adding the next splash. 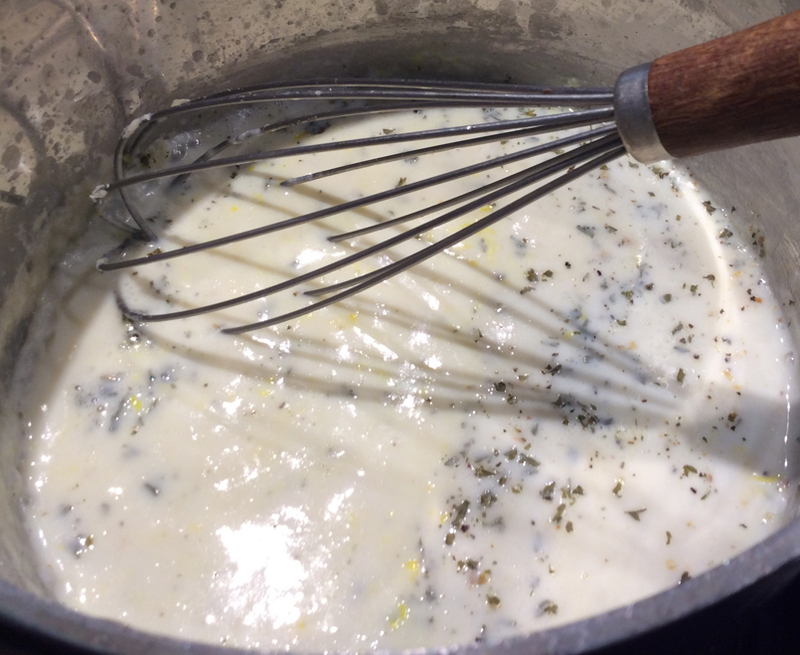 Repeat until all milk has been added, then add lemon zest, salt and pepper to taste. Let mixture simmer together for 2 minutes, stirring frequently; the sauce will thicken. Remove pan from heat and stir in half of chopped parsley, all of mixed herbs and reserved scallion greens. Adjust seasoning to taste. 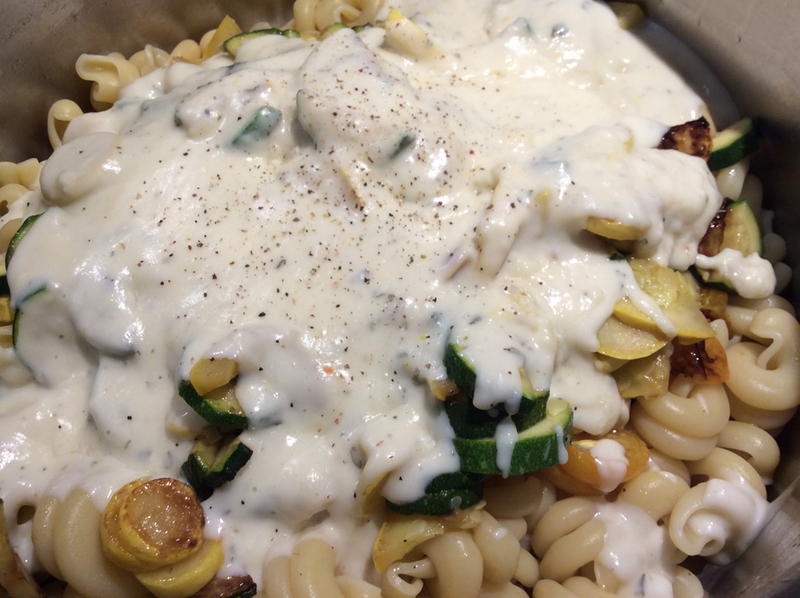 Assemble dish: Off the heat, add drained pasta, summer squash, 3/4 cup grated parmesan and all of the mozzarella to the pot, stirring to combine.Transfer mixture to a 3 quart ovenproof casserole or baking dish. Sprinkle with remaining 1/4 cup parmesan. Bake: For 25 to 30 minutes, until edges of pasta are golden brown and irresistible. Sprinkle with reserved parsley and serve hot. Reheat as needed.